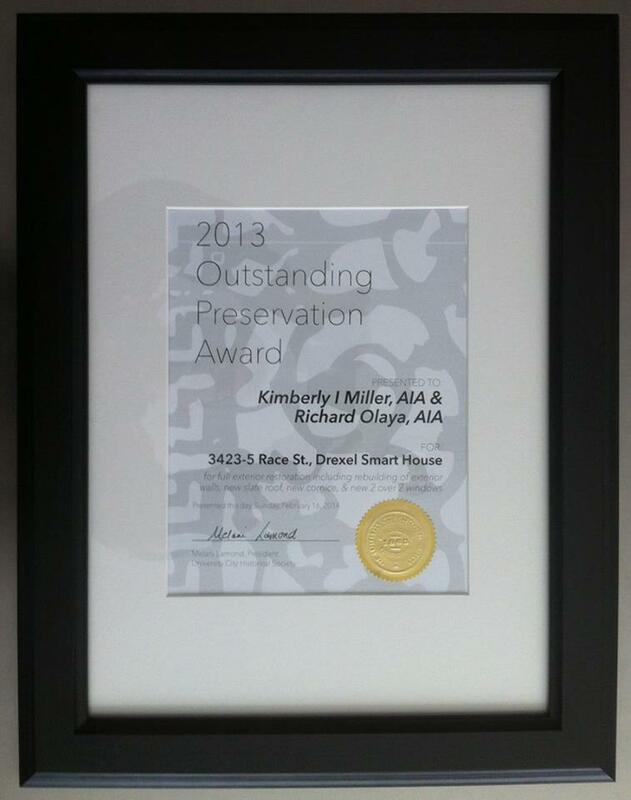 Congrats go out to Kimberly Miller, (silent K), for receiving the 2013 Outstanding Preservation Award from the University City Historical Society. This award is for the “Smart House”, which Kim worked on as a part of her role at Drexel University. The Smart House project included the renovation of an historic mansion into housing. The project served as a teaching tool for students, and will be an ongoing test bed for sustainable and green building technology.